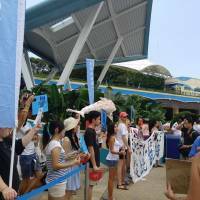 There was much media coverage in April of the decision by the World Association for Zoos and Aquariums (WAZA) to suspend its Japanese affiliate, JAZA, because of concerns over animal cruelty due to the sourcing of captive dolphins from the infamous drive hunts in Taiji, Wakayama Prefecture. 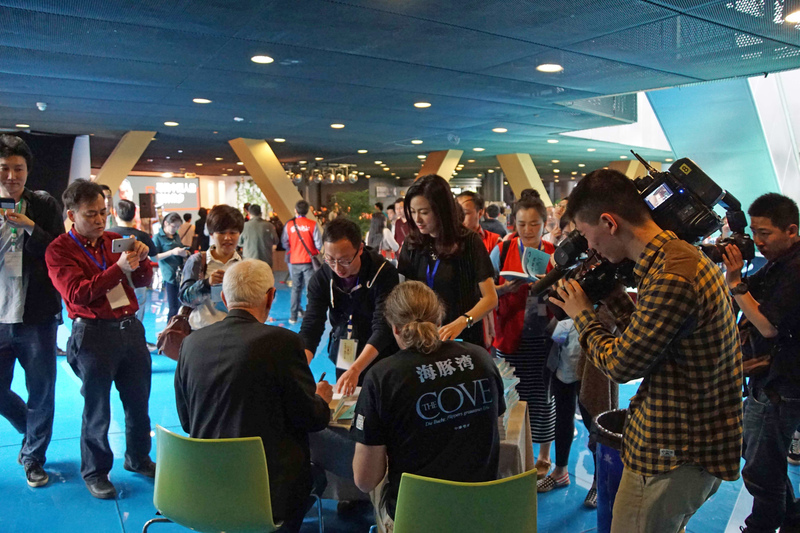 O’Barry, whose journey from dolphin trainer for the 1960s U.S. TV series “Flipper” to activist is recounted in the film, told me about his reasons for promoting the book in China. Ceta Base, a website that collects data on the live-cetacean export trade, backs O’Barry’s claims, noting that between 2002 and 2014, Chinese aquariums were the main customer for Taiji’s dolphins out of 17 countries, accounting for 60 percent of all purchases and 71 percent of total profits from sales. The tour’s impact came as a surprise to the authors. The book’s initial print run of 30,000 sold out within three months. There are stereotypes about Chinese cultural attitudes to animals that obviously need re-thinking, and I will return to that point presently. But what do this tour and the WAZA decision mean for the future of Taiji’s dolphin drive hunts? What other choices do Taiji’s fishermen have if the dolphin hunts end? 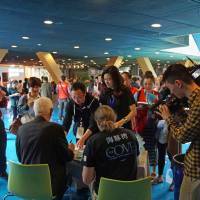 I put these questions to a number of activists and scholars familiar with Taiji. 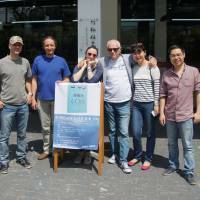 Simon Wearne, an Australian professor at Wakayama University researching Taiji’s whaling heritage, is adamant that neither the WAZA decision nor Chinese activism will end the dolphin drive hunts. Em Bettinger, a long-term Taiji watcher and animal welfare activist originally from Britain, struck a cautious rather than triumphal note. She believes that a planned expensive investment in a new whale park/sanctuary in Taiji, first announced in 2013, is unlikely to pay dividends. Still, she noted that “an expressway is being built to link Taiji more directly to Shingu,” a better-known tourist destination in coastal Wakayama, “so even if the whale park doesn’t succeed, there would still be easier access to Taiji and we could hope other businesses develop” to support local tourism. Taiji watcher and Save the Blood Dolphins campaign member Takayo Yamaguchi believes that Taiji fishermen will stop the dolphin drive hunts only “if the government supports them” and that then, “they could do the same as other Japanese destinations that converted to sustainable cetacean tourism.” But she also suggests that aquariums in Japan, including the Taiji Whale Museum, “could start their own dolphin breeding programs” in response to any ban on sourcing wild dolphins. Readers may wonder why, with all the international condemnation and the WAZA decision, the dolphin drive hunts could continue as Wearne insists they will, and why Taiji would not adopt the alternative tourism or business enterprises mentioned by Yamaguchi, Bettinger and Hemmi. Isn’t this the height of prideful arrogance? But thinking like this underestimates the powerful appeal of cultural nationalism in a globalizing age — one in which countries often seize on food culture as a means of defining their own national character as unique and different from the rest. Taiji is the historic “cradle” of Japanese whaling, and a bastion in whale-meat cultural nationalism. 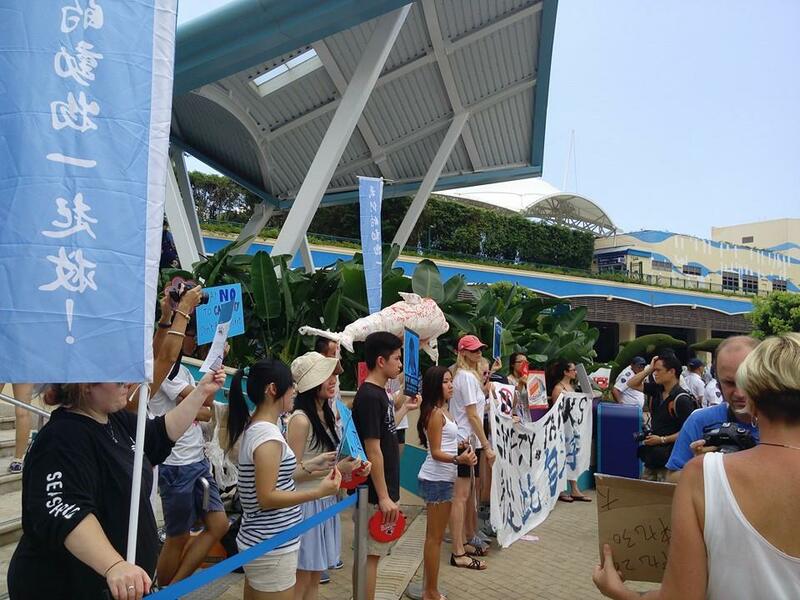 The more activists have besieged it, the more its supporters have rallied together against the outsiders perceived as trying to impose “their Western values” on “our culinary traditions” — even if few Japanese now eat cetacean meat, and despite the fact that the captive dolphin trade is neither culinary nor traditional. The growing animal welfare movement in China, which welcomed the “Cove” book, however, shows that the culturally essentialist script that pits “Western” animal rights advocates against “non-Western traditional culture” does not always fit the facts. 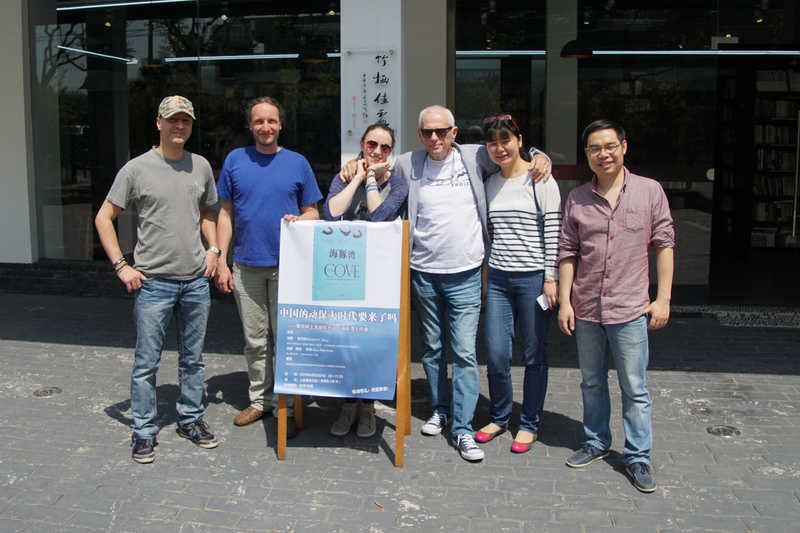 China’s animal welfare organizations have recently begun to exert a strong influence. A coalition of Chinese organizations torpedoed Canadian plans to export seal products to China in 2014, mobilizing public anger against Canadian seal industry boasts that in Chinese culture, “they eat anything.” Foreign and Chinese activists have collaborated on successful high-profile awareness campaigns against shark fin consumption, and pet-loving Chinese have organized protests against the dog meat industry. Efforts to rally Chinese in defense of their food culture against “Westernized” activists have so far been met with public indifference — a trend no doubt helped by the fact that dog meat and shark fin consumption now face official disapproval. Perhaps from the Chinese Communist Party’s point of view, permitting limited civil-society activism on these kinds of issues also makes sense insofar as it may help spur improvements in food safety and environmental regulation. After three decades of rapid economic reform, China’s rising middle class is treading a familiar path from a materialist embrace of wealth accumulation and consumption-based lifestyles to a nascent post-materialism that questions the environmental costs of such accumulation and consumption — and to an understanding of animals as something more than just food. Peter Li believes that a large-scale campaign against live dolphin shows and aquariums is more likely to occur in China than in Japan, where — for reasons I have explained previously on these pages — anti-whaling and dolphin protection groups are small and fragmented. In the meantime, Taiji’s totemic status in Japan’s cetacean meat “culinary culture” remains assured considering the weak domestic opposition. The conservative Sankei Shimbun recently summed it up this way: “Taiji has 400 years of whaling history, and no matter what opposition is ranged against it, it will face forward and continue on.” The costs of protecting what the same Sankei writer describes as Taiji’s “tradition and pride” will increase if its lucrative captive dolphin trade ends, and if foreign-visitor-friendly eco-tourism options are forgone. But strongly held convictions about tradition and pride are not so responsive to economic, let alone humanitarian argument. The battle over Taiji’s dolphin drive fisheries is likely to continue.